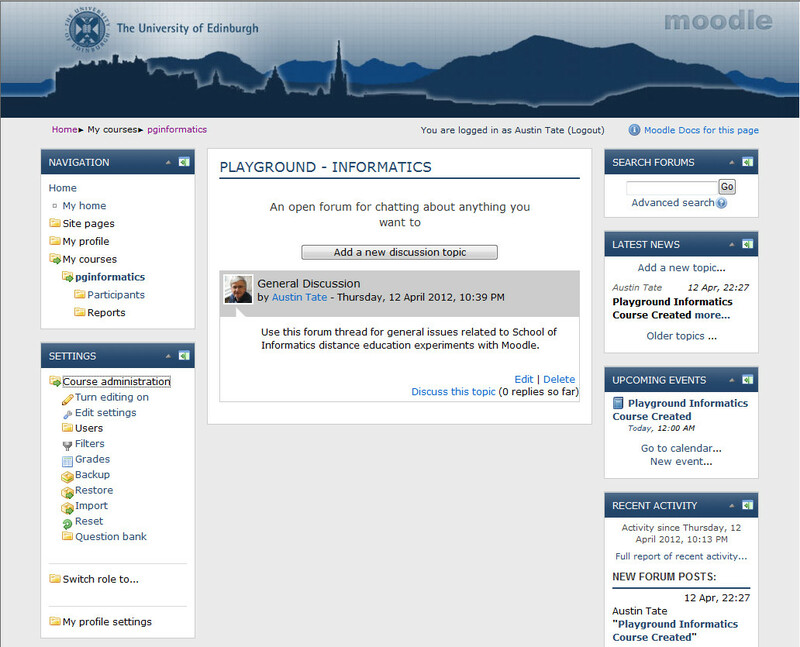 A playground for experimentation with Moodle for the School of Informatics distance education initiatives is now available with course name “Playground Informatics” (pginformatics). The UoE Moodle is currently only available for such distance education courses as the service is built up. People who would like to participate as a course teacher or student should initially contact Austin Tate and provide their EASE UUN, as all users are currrently being added manually. This entry was posted in Moodle, VLE and tagged Moodle. Bookmark the permalink.